What Do We Expect From Daycare's? Every year, over 12,000 kids die from injuries such as drownings, burns, and falls. All are preventable. Why does this continue to happen? Unqualified childcare providers and dangerous daycare facilities. Let’s say that the daycare facility doesn’t provide a safe play area for the kids and has concrete instead of a soft-landing area, such as grass or padded mats. If a kid falls hard on the concrete, what is the first thing that comes to our minds? Broken bones, right? Even if it is not visible, we want to make sure that the daycare teacher evaluates our kid for broken bones just as we would. What happens if the bone is broken and visibly disfigured? Do you expect the daycare teacher to be qualified with CPR training to know how to stay calm, splint it, and take control of the situation? We believe that is what should happen. What Have We Seen At Daycare's? Unfortunately, daycare facilities in the Dallas area are not properly qualifying their childcare providers. We see that the daycare facility is not making essential CPR certificates a requirement. When daycare facilities are understaffed, they are in desperate need to hire. Being in desperate need to have employees typically leads to a rushed hire where an unqualified employee will sneak in. Even though a new hire looks qualified when hired, the supervision staff needs to ensure that employees keep up with the essential CPR training as well as other deficient training areas, such as proactive prevention of aggressive behavior and identifying dangerous toys for kids by age. If an employee is discovered to not have adequate essential CPR training, the daycare facility needs to provide further training to that childcare provider. We do not want the daycare facility to stop qualifying their employees because new training helps keep the employees fresh and up to date on the latest life-saving techniques. What Can Be Done About Employees Being Trained On CPR? All daycare's must have policies and procedures. When daycare providers are handling our children, we expect them to have essential CPR training in case injuries do happen. When daycare facilities do not properly qualify new hires or train them, they put children at risk. In the event one of your kids are injured at daycare, we want the daycare to have qualified and trained childcare providers that can take the proper precautions necessary. Supervision is key to know how the child fell, but at the very least, you want your child to be in good hands when an injury does happen to them at daycare. 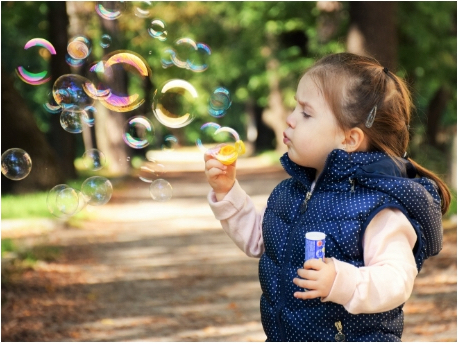 When The Button Law Firm gets involved in daycare cases, we make sure that the daycare has proper qualification checks and training procedures. If they do not, we push for a resolution to include that facility adding a new safety procedure to ensure what happened to the kid doesn’t happen again. Why Does The Button Law Firm Do Daycare Negligence Cases? 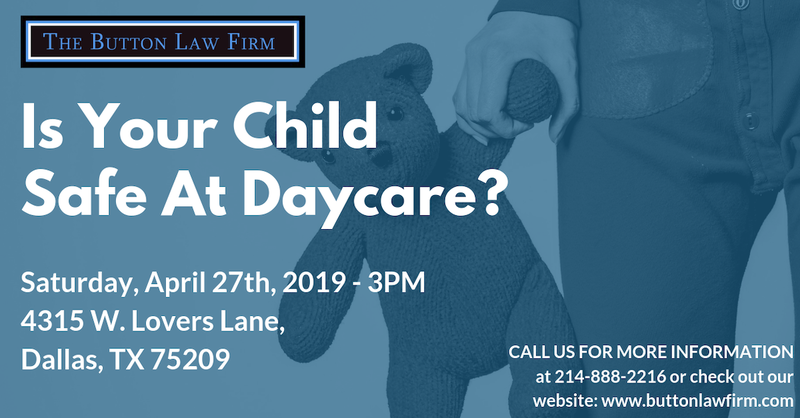 The Button Law Firm believes in its purpose for handling the cases where children have been injured at a daycare in Dallas. First, we pursue these cases to ensure that proper safety systems are put in place so it doesn’t happen to another child and impact their family. Second, we make sure that the family of our clients receives closure on what specifically happened to them. Russell grew up in a household where both his parents worked full time. Thus, Russell went to daycare facilities his entire life. When he became a trial lawyer, Russell wanted to make sure that all parents that put their kids in daycare are about to have peace of mind that those facilities are safe and staffed with qualified and trained childcare providers. The Button Law Firm will not stop until all daycare facilities put safety over profits and take care of the kids as though their parents would. Want To Learn More About What To Do When Your Child Was Injured At A Dallas Daycare? If you or a loved one has been impacted by a Dallas daycare facility, reach out to us at 214-888-2216. Our daycare negligence team is ready to handle all your needs and answer any questions you may have. When your child is hurt, the last thing you want to do is deal with the legal side. Let us guide you through that process so you can focus on your child’s medical treatment and your family.